Jen Bervin is an interdisciplinary artist and poet whose works weaves together art, writing, science, and her own life. 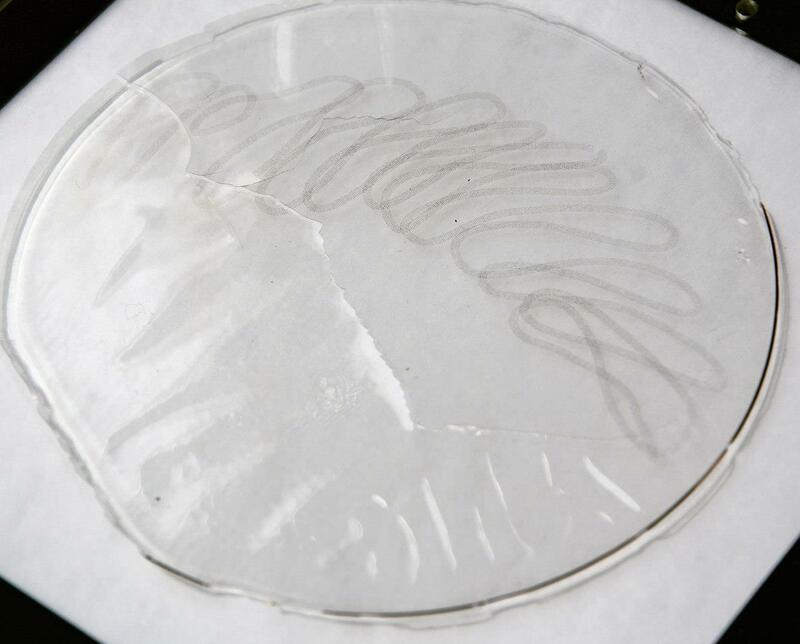 Bervin will discuss her project Silk Poems, poems written in nanoscale in the form of a silk biosensor. Consulting nanotechnology and biomedical labs, she fabricated a silk film with poems written in a six-character chain that corresponds to human DNA. Presented in partnership with the Robert R. McCormick School of Engineering and Applied Science. Jen Bervin (born 1972, Iowa) is a Brooklyn-based visual artist and writer whose works combine text and textiles with conceptual elements and a minimalist’s eye for the poetic and essential. In conjunction with Tufts University’s Silk Lab, Bervin recently completed The Silk Poems, written nanoscale in the form of a silk biosensor. This project included consulting with over thirty international nanotech and bioengineering labs, textile archives, medical libraries, and sericulture sites in North America, Europe, the Middle East, and Asia. The project is supported by a Creative Capital Grant in Literature, a Bogliasco Foundation Fellowship, and just premiered at MASS MoCA. Bervin is a 2016-2017 Fellow in SETI Institute’s Artists in Research program. Bervin’s work has been the subject of solo exhibitions at the Des Moines Art Center (2018), BRIC in Brooklyn (2016), Granoff Center for the Arts at Brown University in Providence (2016), and featured in group exhibitions including Explode Everyday: An Inquiry into the Phenomena of Wonder at MASS MoCA (2016), Postscript: Writing After Contemporary Art at MCA Denver (2012), and Text/Messages: Books by Artists at the Walker Art Center in Minneapolis (2008). She has published nine books, including Nets, and Gorgeous Nothings: Emily Dickinson’s Envelope Poems with Marta Werner. Bervin’s work has been covered in media outlets such as Huffington Post, NPR, The Nation, LA Times, Artforum, Frieze, Hyperallergic, The New Yorker, and The New York Times, and can be found in international collections, including Bibliothèque Nationale de France, Stanford University, Yale University, and The J. Paul Getty Museum.